Fans spent Opening Day frustrated by an extremely long rain delay, overly excessive opening ceremony, and a resulting postponement. On Tuesday, however, the rescheduled game allowed the season to finally be kicked off at 1:10 p.m. CT for the Tigers and White Sox. The game resulted in a 6-3 win for the Tigers, their sixth consecutive Opening Day win. 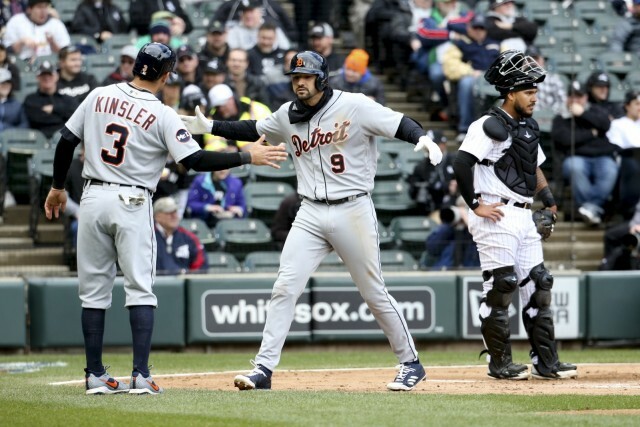 Justin Verlander toed the rubber for the Tigers on Opening Day for the second straight season after a break in the streak that was previously seven. He was marvelous, with Six and a half innings pitched with a career high on Opening Day – 10 strikeouts, allowing just two runs on six hits. He later earned the win. Jacoby Jones, the young man who earned the oh-so-coveted Opening Day center field job, homered in his first at-bat of the season, his first major-league dinger. Nick Castellanos, whom everyone is watching this season for his new style and physique, also homered while Tigers’ second baseman Ian Kinsler had two hits – a double and a home run. The power from Jones and Castellanos is a sign of good things to come this season and their question marks look to turn into exclamation points. The bullpen was alright, with Shane Greene looking less sharp than others (he did not earn an out, but allowed two base runners and one run) while Francisco Rodriguez earned the save. The Tigers headed into a nasty looking week of weather, though, as yesterday’s game was also called due to rain. They head into the season though, on a good note as their players are looking just the way we hoped they would on day one. Tigers will play in Chicago on Thursday at 2:10 p.m. EST with Jordan Zimmerman matching up against the White Sox and pitcher James Shields.